Home KIA KIA ‘A DAY AT THE RACES’ THEME FOR 2014 SEMA SHOW. 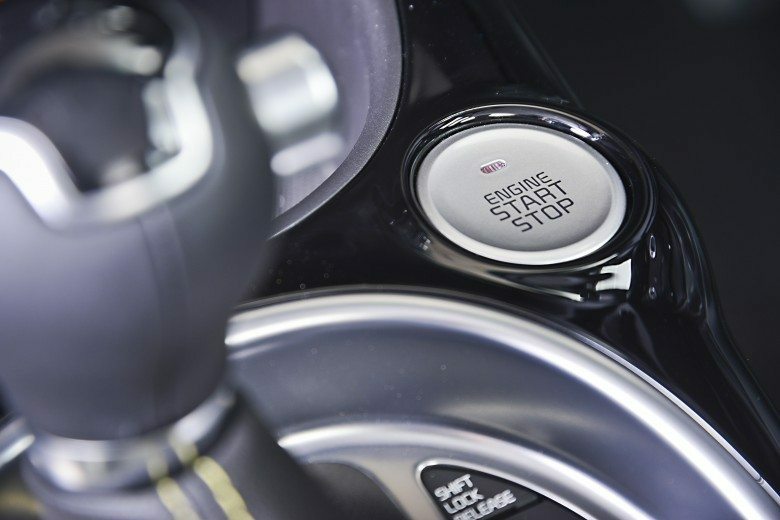 Kia Motors America (KMA) have brought the sights and sounds of the race track to the opening day of the 2014 Specialty Equipment Market Association (SEMA) Show. Just five years after the brand boldly announced its intention to enter professional motorsports in the US at the 2009 SEMA Show, KMA marked its second title-winning season, celebrating the 2014 Pirelli World Challenge Manufacturers Championship. Kia’s ‘A Day at the Races’ 2014 SEMA display commemorates Kia’s racing success and demonstrates the imprint motorsports has left on the brand, encompassing both the thrill of high-speed competition as well as the fun and excitement that fans experience trackside. 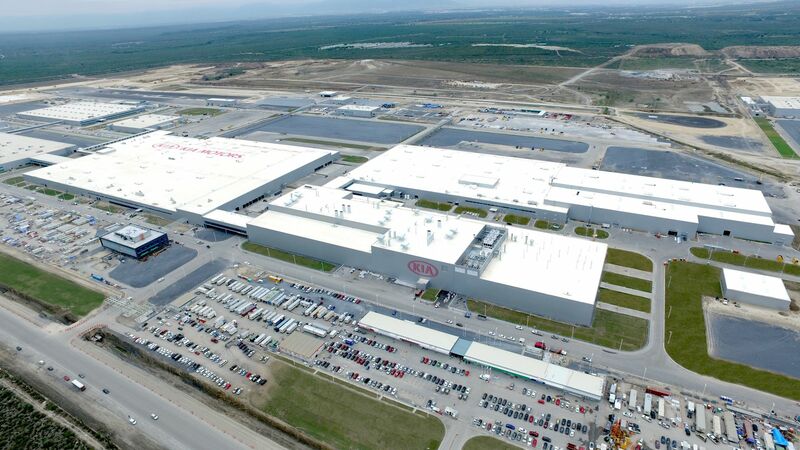 Michael Sprague, Executive Vice President, Sales & Marketing said “Competing and winning in the Pirelli World Challenge series allows Kia to provide tangible proof of the quality, durability, reliability and performance of the vehicles we build. 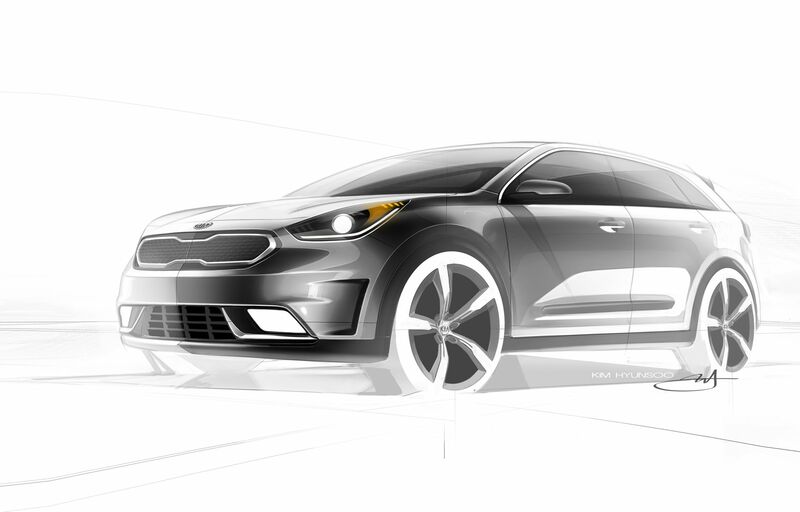 “This year’s SEMA show gives us the opportunity to celebrate our hard-fought championships while also embracing the fun and excitement of the fan experience in a way that only Kia could do,” added Mr Sprague. 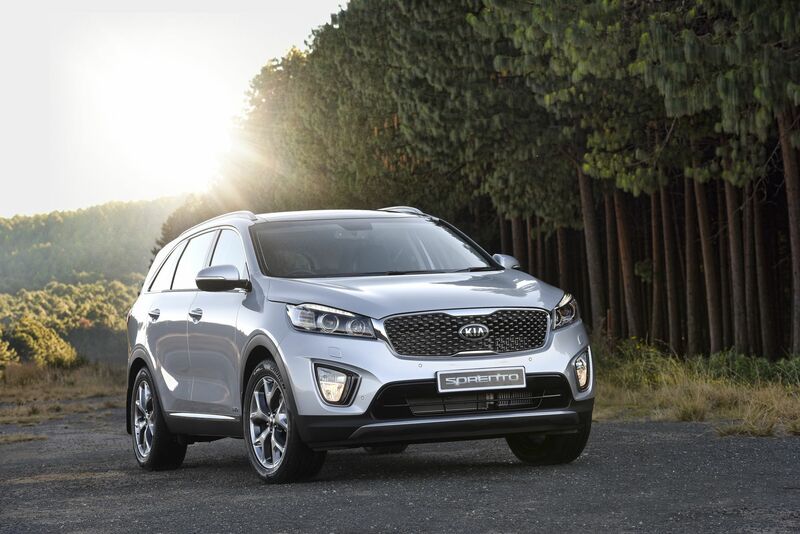 Two of the vehicles are inspired by the festive atmosphere that fans of the Kia Racing team experience during a day at the track with family and friends. The others pay homage to the raw performance and unique style that has fuelled Kia’s five years of US racing success. 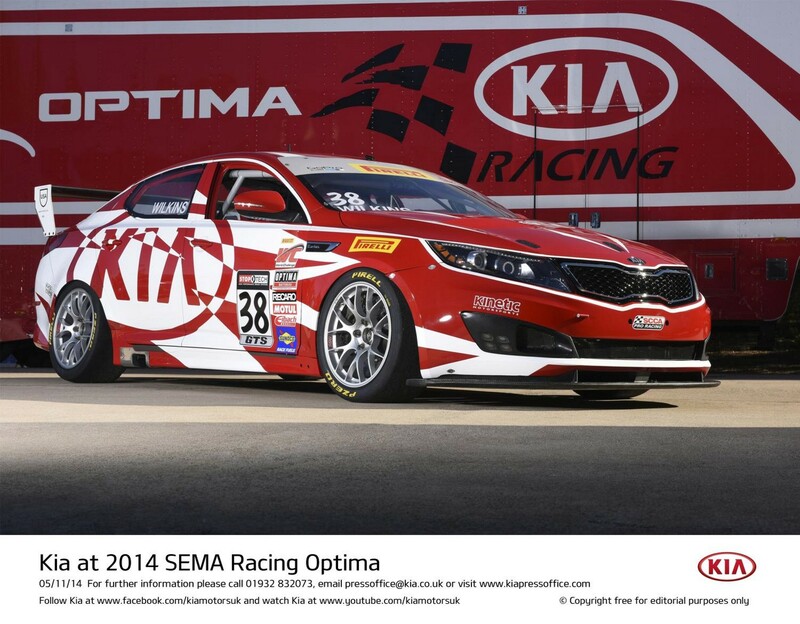 At the centre of it all is the championship-winning Optima race car, sporting a new look for the 2015 season. 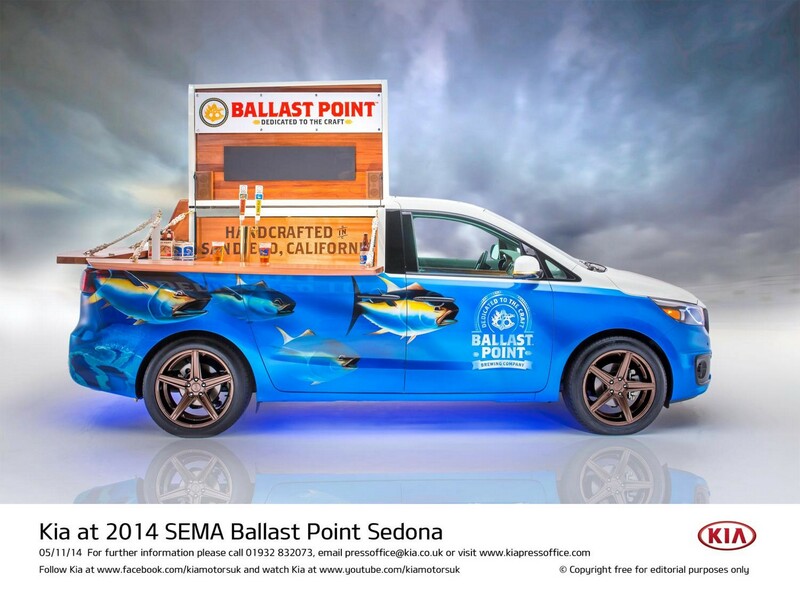 One of the most heavily-modified SEMA vehicles Kia has ever produced, the Ballast Point Sedona (known as ‘Grand Carnival’ in some countries) takes infield fun during a day at the races very seriously. Serving premium, handcrafted beers from Ballast Point Brewing & Spirits, the steel roof of the Sedona has been completely redesigned to echo the nautical theme the specialty brewer is known for. The Ballast Point Sedona features a hand-formed solid mahogany shell with a flip-top roof and fold-down front bar. Removing the roof required the installation of a custom boxed-steel frame that incorporates heavy-duty hinges and struts to allow for the wood clam-shell top to open a full 90 degrees. While one of the Sedona’s power sliding doors has been welded shut, the other remains fully functional to allow access for a bartender into the open-air cabin. The rear shell is also removable, allowing patrons to enjoy a frosty beverage from the tailgate as well. The passenger compartment has been removed to make room for two functioning Micro Matic taps, a jockey box with 37 metres of copper beer-cooling coils and up to four half-barrel kegs of Ballast Point’s finest. The front passenger seat has been removed to accommodate storage for extra kegs and supplies. Hand-built and painted by the artists at LGE-CTS Motorsports, the colours found on Ballast Point’s labels are rendered perfectly along the contours of the Sedona’s body panels. While not street legal, the Ballast Point Sedona is drivable and the suspension has been modified with custom airbags to compensate for the added weight of the kegs. The floor has been lined so that the interior can be hosed out and handmade custom cabinets allow for ample storage. Stainless steel counters and a hidden tank to store meltwater from the jockey box makes clearing up easy. Audio speakers have been integrated into the wood roof so that race fans can enjoy music through the Sedona’s Bluetooth-enabled Infinity audio system. Ice cream is always a favourite at race tracks across the country, and few vehicles are as iconic as the classic ice cream truck. For its more modern take, Kia teamed with San Francisco-based Smitten Ice Cream, matching up its high-tech, zero-emissions Soul EV with Smitten’s high-tech, patented Brrr™ ice cream machine. Founded by a Stanford business school graduate, Smitten creates world-class churned-to-order treats with all-natural and organic ingredients using liquid nitrogen to freeze the ingredients at -321 degrees Fahrenheit, making the freshest, purist and creamiest ice cream on the planet. Customised by Gallagher Designs, the Smitten Ice Cream truck and trailer has been transformed into a modern delivery vehicle with a custom paint job in pearl cherry red. Detailed red and white leather upholstery and interior paneling complement the sleek exterior. Tailor-made red smoothie wheels with baby moon caps add a sporty, hotrod feel to this modern structure with classic lines. To operate as a functioning ice cream truck, a custom hemlock cab divider has been constructed to separate the driver from the Smitten Ice Cream equipment. The side doors open to reveal a compartment specifically designed to store dewars, the custom tanks filled with the liquid nitrogen needed to instantly freeze Smitten’s ice cream. Shaved door handles open with an electronic latch and LEDs have been installed to spotlight the patented Brrr™ ice cream machine and the table work space. Silver accents follow existing lines on the car to tie the vehicle to the trailer and give a subtle nod to classic car culture. The back windows of the Soul EV are tinted black to serve as menu boards to display flavours, farm-to-table ingredients and daily specials. From the finished back cavity, a pull-out table has been specifically designed to accommodate Smitten’s Brrristas™ and their ‘wagoneering’ workflow, which can be set in a linear or 90-degree-angle layout. Three marine speakers built into custom aluminium ‘waffle’ cones, a fresh take on traditional ice cream truck loudspeakers, sit atop the Soul EV and emit a modern version of the classic tune that ice cream trucks have been playing for decades. Custom school bus-type ‘Stop’ signs with LED lights fold out from the rear panels of the vehicle as another small tribute to old-school ice cream trucks. The lightweight aluminium teardrop trailer adds nostalgia to the Smitten Soul EV while providing added storage. Both the car and the trailer have matching cherry red exteriors, and the bottom third of the trailer is silver, drawing from the silver accents on the car. A hatch on the back of the trailer allows access to a spacious storage area, and stainless steel counter tops slide into channels on the sides of the trailer to display Smitten’s gourmet pairings. Kia and Smitten Ice Cream have partnered to create a Soul EV that’s as unique as Smitten’s fresh frozen ice-cream. 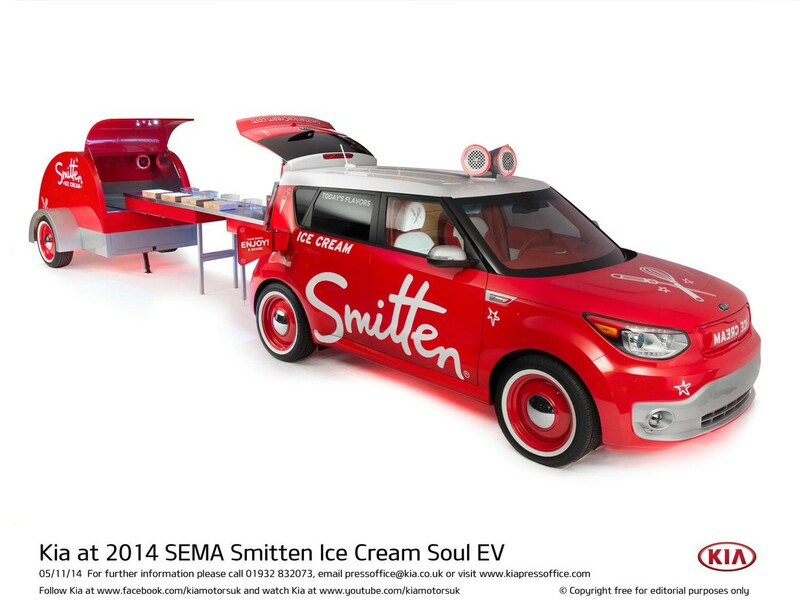 Following the SEMA show, the street-legal Smitten Soul EV will operate as a catering and marketing display vehicle for the Smitten Ice Cream Company. Team owners and drivers regularly arrive at tracks around the country in performance-oriented luxury vehicles. They sport modifications to the exterior, interior, wheels, tyres, brakes, suspension, and engine – all to gain more power and improved driving dynamics. Kia Racing drivers Mark Wilkins and Nic Jönsson consulted with LUX Motorwerks, providing input into the kind of vehicle they would like to drive to and from the track, and the result is the High-Performance K900 (known as ‘Quoris’ in some countries) debuting at the SEMA Show. Starting with a custom, one-off body kit with carbon fibre inserts, custom-blended grey paint, blacked-out chrome trim and massive 21-inch gloss-black HRE RS100 wheels wrapped in Pirelli tyres, the High-Performance K900 offers a subtly menacing appearance, which hints at the power underneath. The interior features luxurious tan leather seats with black suede accents and tailored touches such as; 11-inch seatback monitors showing in-car footage from iRacing.com Motorsport Simulations to allow rear-seat passengers to learn or refresh their knowledge of each track’s all-important racing line while en route to the circuit. In the boot are custom compartments for a driving suit and helmet, complete with a ProDryer to remove perspiration following a long day of hard work behind the wheel. The High-Performance K900 adds a professional-grade boost to the stock vehicle’s 425 ps, 5.0-litre V8, thanks to a unique Garrett 2871R twin-turbo application visible through a viewing port in the boot. With an estimated output near 659 ps, the turbo units’ unconventional placement helps reduce engine compartment heat build-up under full throttle, and doesn’t require the removal of any sheet metal beneath the sculpted lines of the bonnet. 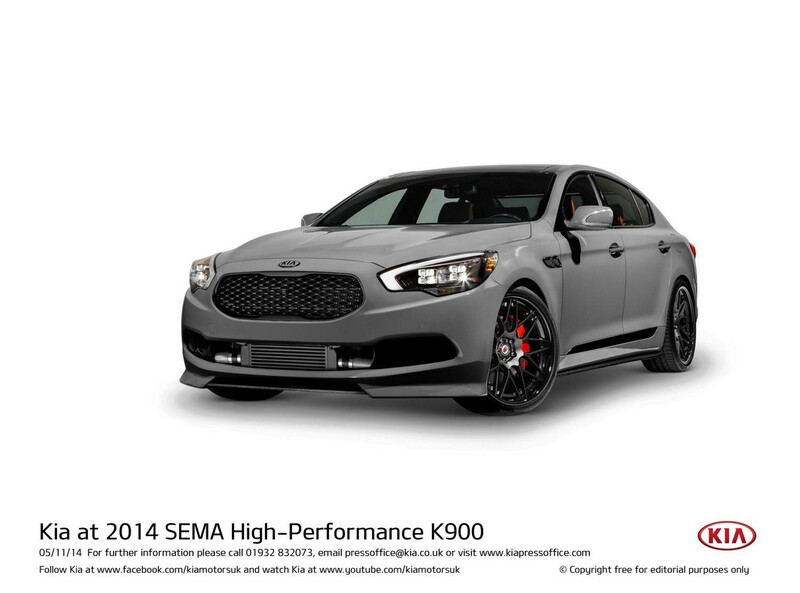 Lowered Eibach suspension keeps this special version of Kia’s flagship sedan planted and level, and Ksport 8-piston brakes paired with 15-inch cross-drilled rotors offer the confidence of control. 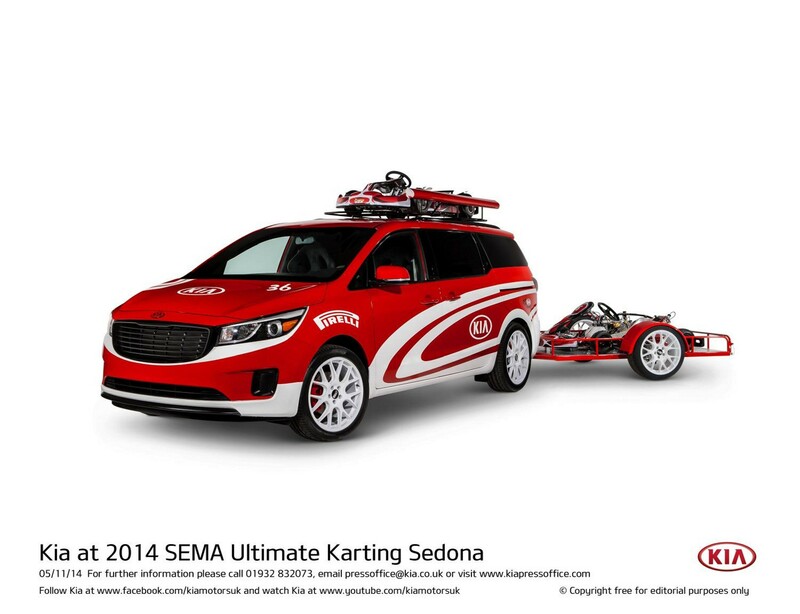 Karting is how many of today’s top professional race drivers got their start and this all-new 2015 Kia Sedona has been transformed into the ultimate kart hauler. Painted Kinetic Motorsports Red overlaid with vinyl graphics that pay tribute to the championship-winning Kia Racing Optimas, the Sedona sports matching 20-inch BBS CH-R white powder-coated wheels mounted with Pirelli P Zero rubber. On top of the vehicle is a custom-built kart rack with space for a CRG Bambino kart and a Fiamma F35 Pro Awning, providing much-needed shade while racers turn wrenches or wait for the next round of open-wheel action on the track. A second kart, a CRG Road Rebel shifter, is carried by a custom-built aluminium and diamond-plate trailer on matching 18-inch BBS CH-R wheels. Repairs and off-track tuning are all part of the fun of a day at the races, and the Sedona’s interior has been transformed into a mobile garage to carry the necessary tools, spares and supplies. The floor has been levelled and covered in black-and-white RaceDeck rubber flooring, and the vehicle has been kitted out with a toolbox, featuring a built-in Infinity subwoofer and amp, and a tyre bead breaker. Hand-built, diamond-plate shelves fill the cargo area of the Sedona and provide storage for spare tyres, an 18.9-litre (five US gallons) petrol tank and Sparco karting gear. Sparco also supplied Chrono Road seats to finish off the racy look of the interior. First shown at the 2011 Los Angeles Auto Show, when Kia Motors America announced that it would augment its championship-winning Forte Koup racing program with an entry into the Pirelli World Challenge, this championship-winning Kia Racing Optima features an exciting new look for the 2015 racing season. Kia Racing clinched the 2014 Pirelli World Challenge Grand Touring Sport (GTS) Class Manufacturer Championship in only its third season of competition. 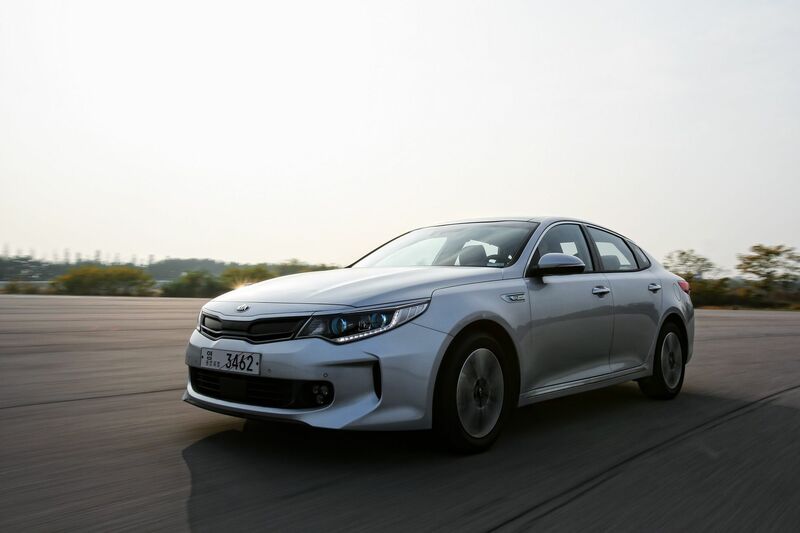 Kia defeated rivals Ford, Chevrolet, Porsche, Aston Martin and Nissan to become the first Korean auto manufacturer to win the coveted championship. Kia Racing finished the stellar season with 13 podium finishes, including 5 race wins. 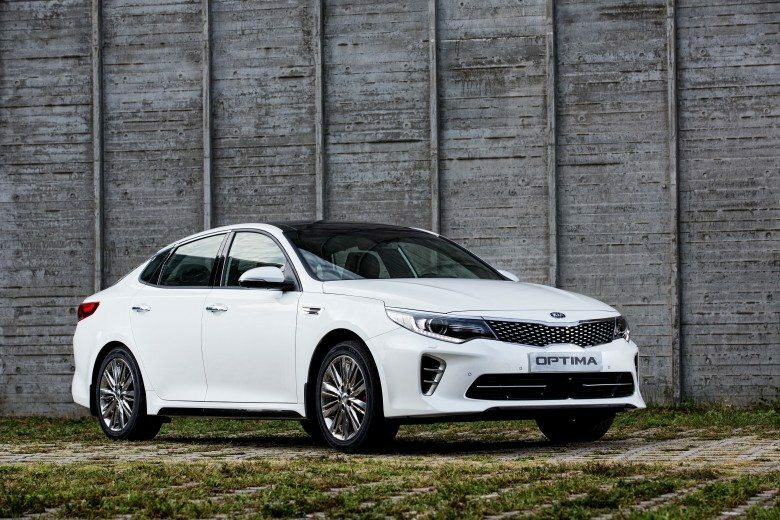 Meanwhile, the turbocharged Optima race cars led more on-track miles than any other manufacturer in the class this season, a testimony to the speed and reliability of the Kia Optima. The No. 38 B.R.A.K.E.S. Optima turbo on display at SEMA was driven by Mark Wilkins throughout the 2014 season and utilises the same 2.0-litre turbocharged four-cylinder GDI engine found in the Kia Optima SX and SXL. The engine block, head and crank shaft are stock Kia parts. Power output has been increased from the stock 278 ps to about 373 ps and is routed to the front wheels via a six-speed transmission. The Kia Racing Optima weighs 1,338 kg (2,950 pounds) and has a top speed of 257 kph (160 mph). Not only do Kia Racing’s performances reinforce the quality and dependability of Kia’s vehicles against the very best under the most extreme conditions, they support and increase awareness for two important charitable organisations. B.R.A.K.E.S. (Be Responsible and Keep Everyone Safe) provides free advanced driver’s education to teenage drivers with the goal of preventing injuries and saving lives. DonorsChoose.org is an online charity devoted to helping public school students in need of learning materials. Teachers post classroom project requests, and donors give to the projects that most inspire them.